Sometime in early 2007, Phaneesh Murthy, the CEO of iGate Corp., a US technology outsourcing firm with most of its operations in India, faced a situation that few of his peers would have faced. In a matter of three months, one of his businesses that accounted for more than a tenth of the company revenues crashed to zero. In what is probably one of the earliest signs of the global financial crisis on Indian soil, the company lost all the revenue it got from its mortgage origination business (the business of scrutinising applications and documents for banks issuing loans), which is based in Bangalore. iGate’s mortgage process outsourcing (MPO) business wasn’t alone in suffering such a dramatic impact. After all, mortgages were at the centre of the financial crisis. Customers in the US were shutting shop or selling out. Even by early 2007, over 20 US companies dealing in subprime mortgages had to close down. As the problem spread, subprime lending, which accounted for a fifth (or $605 billion) of all new mortgages in 2006, virtually came to a stand still. Since then, over 350 lenders in the US have filed for bankruptcy, halted operations or sold out to bigger firms. Prashant Kothari, president and founder of String Real Estate Information Services, says, in early 2008 his pessimism was nine on a scale of one to 10. As the year progressed, banks collapsed, and credit froze, his pessimism about the industry had touched 20 — on a scale of 10. “It had broken the scale,” he says. Now, here’s the surprise. Just two years on, far from collapsing, some of the MPOs seem to be doing a good business again. Today, iGate’s BPO growth is predominantly driven by the mortgages business. For Kothari, the business grew at about 50 percent in 2010. He reckons many of his competitors grew at least by 20 percent to 30 percent during that time. ISGN’s revenues more than doubled last year. (ISGN is a mortgage technology and services company funded by the KK Birla group and New Enterprise Associates.) So what has changed? Not many new loans were being given and the loan origination business had virtually stopped. Neither had home prices in the US recovered. But the business found a new opportunity: Following up on repayments and defaults, according to Murthy. And MPOs weren’t been slow in taking to it. “The market undergoing a big disruption is a market that people run away from. But if you look at it, the market undergoing a big disruption is also the market with new opportunities,” says Krishna Srinivasan, CEO of ISGN. 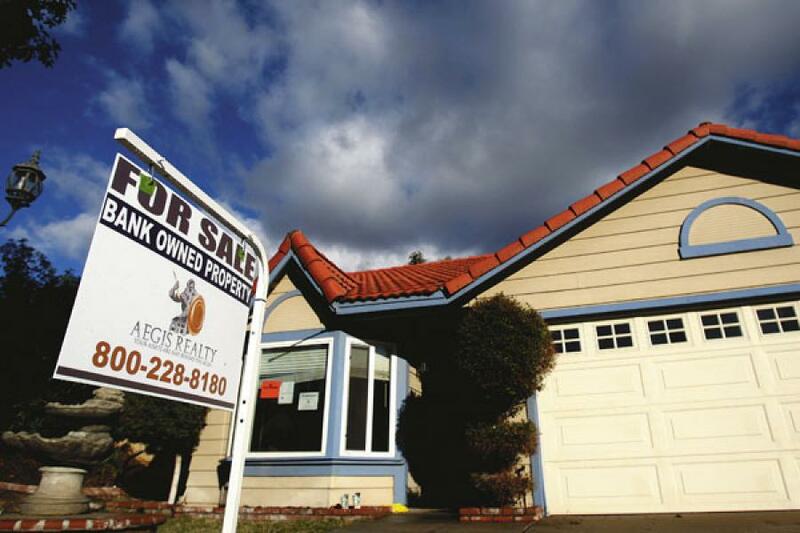 Now, mortgage lenders in the US, encouraged by the American government, are going back to borrowers with loan modification schemes to avoid foreclosures. They are also more cautious in giving out new loans — which have started in a small way. The processes involved can be lengthy and complicated. But it’s easy to train people to do some of these processes, if they have already worked on the other areas of mortgage loans such as verification, says Anil Bajpai, senior vice president and head - iTOPS Delivery, iGATE. The whole mess around dodgy mortgage-backed securities is another opportunity. Take the case of Bank of America. It recently paid more than $2.5 billion to buy back mortgages from Fannie Mae and Freddie Mac. Fannie and Freddie had bought these loans from Countrywide Financial (which is now a part of BoA). The two US government controlled institutions now claim that the lender misrepresented the quality of the loans. As claims and counter claims go back and forth, MPOs in India go through the documents, investigate and analyse them, and present a report to the lender. It’s then taken up by the disputing parties and the legal teams. Infosys BPO’s banking and capital markets head, Kapil Jain, says the company won a deal in this area about six months ago. But to make full use of these opportunities, business process outsourcing (BPO) companies realise that they have to modify the way they work. For long, BPOs have tried to do more with less people. They standardised processes and took automation seriously. But now they need to build a new layer of human judgement over and above what the computer does, says String’s Prashant Kothari. That’s because “in general, lenders have become cautious. They have become more stringent,” says Sajesh Gopinath, practice head, BPO Services, UST Global. For example, earlier, you took into account the 20 most relevant data points to make a decision about the value of a house. Today, you need to go through the entire documentation. Lenders today insist on looking at photographs of houses at various angles to get a sense of the value. While some of these operations can potentially be done offshore — and indeed some of these happen in India — others demand a presence in the US. Infosys BPO recently set up a centre in Atlanta. 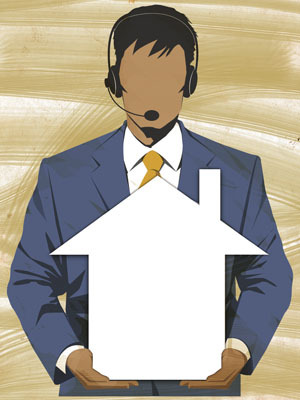 It’s the beginning of a trend, amplified by the mortgage industry, says Jain. In the sector today, almost all the work happens in the offshore centres. But eventually, Jain believes, 20 percent will move onshore. Uncertainty all around also meant the valuations of companies were down. ISGN’s Srinivasan saw it as an opportunity to make an acquisition that would help the company give more services to mortgage firms. “Giving end-to-end solutions, that is one secret sauce to do well in this market,” he says. In December 2009, he bought the loan fulfilment unit of Fiserv, a Nasdaq-listed firm. This helped ISGN get specific set of skills to provide closing and settlement, valuation and loan modification services to its customers. Earlier, in May 2007, ISGN had acquired Dynatek, a US-based provider of mortgage automation software. Such acquisitions are a trend. “Over the next 18 months, Forrester expects that the suppliers will reorient their platform BPO approach to target industry-specific processes,” said the consulting firm’s vice president and principal analyst, John McCarthy, in a note last year. One of the biggest lessons from the crisis is that nothing lasts forever. Demand for loan modification too will cease. Companies will find ways to automate some of the processes that demand human intervention today. That too will become commoditised. The process around representations and warranties will also slow down to a trickle before long as housing prices start rising. Meanwhile, sanctioning new loans is likely to pick up in the next couple of years. MPOs can ill afford to lose the lessons they have learned. The first one is that it’s important to build domain expertise. Of course, you can break down a complex process into simpler ones, “but that would add a layer of inefficiency to the process,” says Jain. There is no shortcut to domain expertise. The second lesson is that it is important to be flexible and quickly seize a new opportunity. At iGate, when Murthy and his team saw the loan origination business go to zero, they kept their eyes open to new opportunities. That was right next door — in loan servicing. “You have to move based on where the business volume is. You have to have the flexibility to do that,” says Murthy.